"It is not mistreatment," said Li Xiaojun, director for publicity at the Bureau of Human Rights Affairs of the State Council Information Office. "What China is doing is to establish professional training centres, educational centres." "If you do not say it's the best way, maybe it's the necessary way to deal with Islamic or religious extremism, because the West has failed in doing so, in dealing with religious Islamic extremism," Li told reporters on the sidelines of the U.N. Human Rights Council session in Geneva. "As to surveillance, China is learning from the UK," Li said. "Your per capita CCTV is much higher than that for China's Xinjiang Autonomous Region." Europe's top rights court ruled on Thursday that Britain had violated privacy and free speech with a "Big Brother" electronic surveillance programme. Li said it was normal practice for Xinjiang police to use closed-circuit television for the public good, especially after ethnic riots in 2009, which were blamed on "foreign forces". 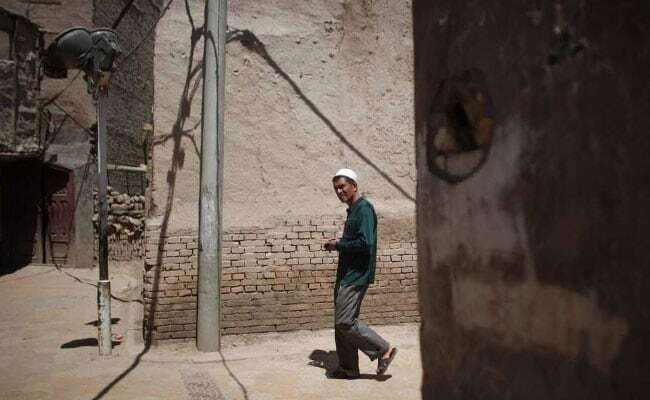 He said the Xinjiang education centres were not "detention centres or re-education camps", which he dismissed as "the trademark product of eastern European countries", an apparent reference to Soviet Gulag detention camps during the Cold War. "To put it straight, it's like vocational training ... like your children go to vocational-training schools to get better skills and better jobs after graduation. "But these kind of training and education centres only accept people for a short period of time - some people five days, some seven days, 10 days, one month, two months." Islam was a good thing in China's view, but Islamic extremists were the common foes of mankind, he said. "They are very bad elements. You can see that in Afghanistan, in Syria, in Pakistan, in Iraq, and many other countries."